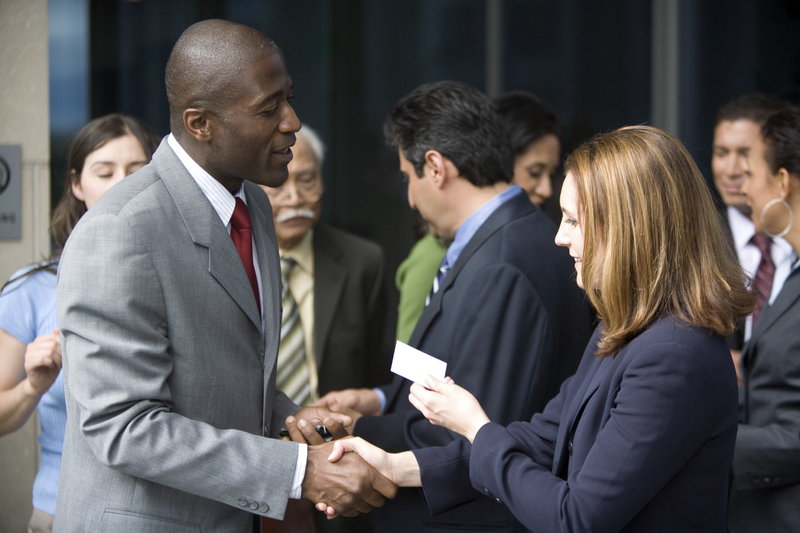 Those of you in the business world may be aware that this week is International Networking Week®. It’s a week where businesses across the world are encouraged to strengthen their networking prowess and step outside of their comfort zone to foster new business relationships. The role networking plays in the development and success of businesses globally is no secret, and this year’s International Networking Week® is a great reminder to get the ball rolling when it comes to networking for your business, and strengthening your skills in the area. INW® is internationally recognized and features tens of thousands of global participants. The initiative comprises of a number of networking events across the world, which aim to bring together representatives of government, business and the community. The events held are also a great way to gain further insight into the concept of good networking, as key networking specialists provide advice and information via talks held across the globe. The purpose of this week is quite simple. To re-instate the importance of networking for business success, and facilitating those all-important relationships via their initiatives. Invitations to attend are open to the wider business community, members of networking organizations, students, press and interested parties from ALL levels of government and business. International Networking Week® is an initiative that has been created by BNI®. BNI® is globally recognized networking group, that provides supportive networking environments for business professionals – enabling them to exchange and develop ideas as well as promote potential business relationships. You may even have a BNI group in your local area. Although the week might almost be over, it’s still a great excuse to hone in on your networking skills and fine tune some areas that you perhaps lack strength. Make the most of what’s left of this week’s INW® by implementing some of our key networking strategies listed below. This is networking 101. As obvious as it may be, it is clichéd for a reason. Maintaining eye contact ensures you remain engaged and focused on the conversation. Equally, it automatically shows that you respect the person you are conversing with as well as showing them that you are interested in what they have to say. You are more likely to impress someone by your interest in them rather than their interest in you. Ask questions that show you’re interested, and ask questions that serve to open the discussion further. You are in a much better position to learn once you are willing to listen, and the person you are speaking with will be impressed and grateful for your humble and inquisitive attitude. Are your arms crossed? Are you fidgeting? Are your eyes darting across the room, easily distracted? Are you standing too close? These are similar questions to what you’d ask yourself before going into a job interview, and in reality, networking is quite similar. Every individual’s body has little insights into how they are truly feeling, and whether the conversation between you and a potential client/friend etc. is going well or not, it’s your job to ensure your body is not betraying you. Keep in mind their personal space, but also don’t be afraid to be assertive and have a presence. Try not to shift around too much, or fidget – although, don’t then become rigid and static. Simply relax, take a deep breath and focus your attention on how you are presenting yourself. Don’t forget to smile, laugh and take cues from the other person’s behavior. A positive presence will not only aid you in one-on-one interactions, but it will create an attractive and warm aura that will make you much more likely to be approached, and a pleasant addition to group conversation. It’s a win-win. It goes without saying that you want this impression to be a good one. Fortunately for us all, it is a lot easier to make a good impression as opposed to a bad one. The problem is a lot of us don’t realize the simple things that go towards this good impression, and thus often take them for granted. Do you appear professional? Do you regularly maintain your personal hygiene? Do you bite your nails when you’re nervous? Do you have a notoriously weak handshake? Your overall appearance, hygiene, habits, handshake etc. all make up your impression, and if you remain aware of those things you can easily create a good impression without thinking too much about it. A quick way to ensure your first impression is a great one is to have a firm handshake that announces you to the individual. A little spritz of perfume and a second to straighten your tie and tuck your hair behind your ears will make a world of difference – no longer distracting from who you are and what you can offer. This may not mean what you think. Often you will see individuals who continue to steer the conversation in their direction, diverting questions back to themselves, continuously offering up personal anecdotes and babbling on about their accomplishments and goals for the future. In this case, you must facilitate such conversation on behalf of those whom you are speaking with. Similar to listening more than speaking, ensure you are always directing the conversation away from yourself. This does not mean that you should remain silent, hide your goals and achievements or present yourself as less than whomever you are speaking to. It simply means that you focus the conversation on them – and as discussed above, by doing so, you will be better off for it. Being able to control the conversation is a skill that takes a while to master, but once you do it’s a great tool to have in your arsenal, especially when it comes to avoiding unwanted questions! This is essentially what you want to take away when it comes to thinking about networking. Selfishness is the enemy of networking, and ends up serving no one. Instead of approaching potential relationships with ‘what can they offer me?’ flip the question into ‘what can I offer them?’ This not only allows you to better adapt to many of the tips above, but it ensures that you are facilitating a conversation and relationship that is based off of respect and interest, rather than merely personal gain.